London is a city of great diversity: more than one third of its inhabitants are foreign-born. It is the city with the second largest immigrant population in the world, after New York. All kinds of ethnicities and nationalities live in London, speaking more than 300 different languages. It was a diverse city already in the 19th century, when trade and wealth attracted many foreigners. For example, Chinese employees of the East India Company, a company that traded with Asia, settled in the neighbourhood of Limehouse. By the beginning of the 20th century, London was the largest city in the world, full of people from around the globe. But how diverse was the very first London, the Londinium that the Romans founded almost 2000 years ago? A recent archaeological find seems to suggest that it was somewhat similar to the London of today. In the October issue of the Journal of Archaeological Science, British researchers published a study regarding 22 skeletons from a small Roman cemetery found in South London. Using cutting edge techniques, the scientists could make an educated guess about the origin of the skeletons. What they found was, according to them, “absolutely phenomenal.” Four people were ethnically African and two were Asian, most likely Chinese. This was the very first time people of Chinese origin were identified in Roman Britain. Londinium was an important centre of the Roman province of Britannia with a population of approximately 60,000, but it was still a provincial city on the very edge of the known world, far from the hub of the Empire. So what were Chinese people doing in London? At the time, the Roman Empire and the Chinese Han Empire were two huge civilizations at the opposite ends of the Eurasian continent. They were so distant that they knew little about each other besides rumours and legends. There was trade, though, between them. A thin, 8,000 kilometre route connected the Mediterranean to China: the so-called Silk Road. Along this route travelled the goods of Rome and China: Roman glassware reached Chinese homes and Chinese silks reached Roman markets. These goods were not transported by the Romans and the Chinese, but by the many traders who bought and sold them along the Silk Road. At least this is what our current historical knowledge tells us. The finds of the Chinese skeletons in London might change all this. If two Chinese had wondered so far from the Silk Road to distant Britannia, the relations between the two ancient empires might have been much deeper than previously thought. Maybe the Chinese people in London were merchants. Maybe they were ambassadors or the descendants of Chinese travellers. Maybe they were not free men: sadly, slaves were also traded along the Silk Road. What’s certain is that the finds in London have raised a mystery. More data will be needed to solve it. The skeletons analysed were few, and the method used to determine their origin is not infallible. What is absolutely certain is that the ‘Chinese skeletons’ were from people not born in Britain. Their Chinese origin, however, must be confirmed by further testing. What these skeletons (as well as the four African ones) prove, though, is that there was great diversity in the Roman Empire, even in the far away province of Britannia. 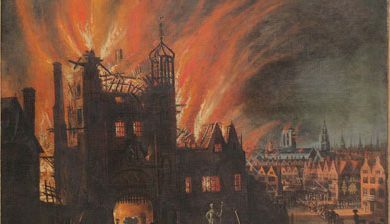 This reinforces other previous archaeological finds that showed that ancient Londinium is not so different from modern London: it was an important trading centre as well as a multicultural city. an important city in Britannia. the largest city in the world. the largest city of the Roman Empire. Londinium had a population of 60,000.
non-European people lived in Londinium. they found 22 skeletons in a Roman cemetery. a road built by the Romans. a road built by the Chinese. knew very much about each other. did not know each other. knew very little about each other. was very far from the Silk Road. was on the Silk Road. there were lots of Chinese living in Londinium. did not discover anything new. 1. A gossip or an unconfirmed story is called a ______ . 2. An ______ is a conclusion based on previous knowledge or facts. 3. Romulus and Remus ______ the city of Rome. 4. Objects or containers made of glass can be defined as ______. 5. The word ______ can be used to describe the centre of a wheel, an airport, and the most active part of a city or place. 6. The things for sale that can be found in shops are called ______. 7. ______ technology is the newest and most advanced technology there is. 8. The class was very ______: there were students from 10 different countries. 9. Many immigrants ______ in London, making it their new home. 10. Today we usually ______ using money, but once it was common to do it by exchanging goods. 3) Complete the sentences using the adjective in brackets with comparatives of majority (+) minority (–) or equality (=), or superlatives (S). Just five days into 2017, London exceeded its annual air pollution limit. London’s polluted air is a centuries-old problem. A group of young activists believe that too little has been done for too long. 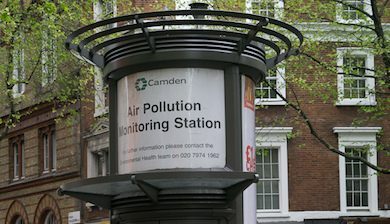 With their campaign Clean Air Now they hope to raise awareness of the problem and to pressure politicians to improve, once and for all, London’s air quality. Ringrazio e mi complimento per il materiale prodotto e inviatoci. Sono spunti interessanti da proporre agli studenti, perfettamente corredati di esercizi grammaticali, saranno apprezzati anche da loro. Ottimo spunto per una lezione eclettica ed accattivante. Apprezzo moltissimo questo materiale e pur insegnando in un ambito ingegneristico non disdegno l’utilità delle vostre schede che valuto importanti per dare ai ragazzi spunti da sviluppare e risorse culturali avvincenti facilmente fruibili grazie agli esercizi di comprensione e prduzione molto validi. In occasione vi porgo i miei saluti e attendo con interesse le vostre prossime proposte. Grazie per il materiale prodotto e proposto. Molto utili i link per lo studio individuale e l’approfondimento. Con la mia terza scientifico abbiamo appena studiato “The Romans”(Heritage testo bellissimo❗) Leggeremo anche questa pagina e svolgeremo gli esercizi. Buon lavoro …a tutti! ottimi gli argomenti, interessanti e utilizzabili con i ragazzi …..
Grazie. Molto utile e interessante.